It is a common misconception that deciduous teeth don’t need care. 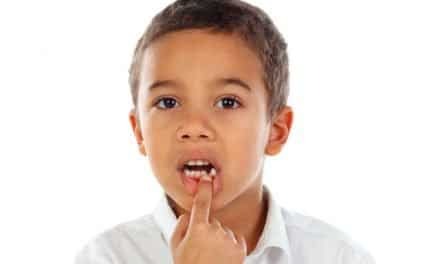 The condition of your child’s primary teeth will tell you what to expect in the permanent teeth. Also, remember that all permanent teeth do not erupt until twelve to thirteen years of age. So, until then, preserving your child’s teeth is crucial. Children often practice poor oral hygiene, and it may be too late before you can save a decayed tooth. But, if the dentist advises you to save that tooth using a stainless steel crown, you should go for it. This will save your child’s tooth and act as a natural space maintainer till the permanent tooth erupts. Deciduous teeth are different from permanent teeth. They are smaller, and the enamel is thinner. Also, the underlying pulp is much closer to the tooth enamel than in permanent teeth. These factors make tooth decay a prevalent problem in children. This is the reason dentists recommend preventive restorations and fluoride treatment in your child’s mouth. As soon as you see your child developing any signs of decay, visit your dentist immediately for treatment. If the decay is minimum, it can be taken care of by a filling. But, if the bacteria have reached the pulp, the dentist has to perform pulpal therapy. This is where a stainless steel crown helps. The crown is placed over the affected tooth and cemented in place. Children often get irritable and non-compliant if they have to visit the dental office repeatedly for the same tooth. Instead of fillings that come out often, stainless steel crowns offer a durable solution. 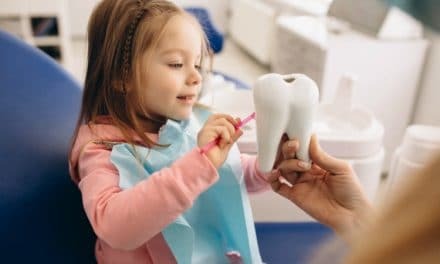 If not for the crown, you may have had to get your child’s tooth removed. Premature loss of primary teeth leads to space problems in permanent teeth. With the stainless steel crown, the tooth serves as a natural space maintainer in the arch. The crown can also be attached to an existing space maintainer in your child’s mouth. Once the pulpal treatment of the tooth is complete, a dentist chooses a pre-fabricated tooth of a suitable size. The entire process of cementation is concise and easy. The tooth is isolated from the rest of the mouth. Saliva contaminates the cement, therefore placing cotton rolls or other forms of isolation is a must. This force will fit the crown well in place once the cement sets. Stainless steel crowns are extremely low maintenance. They require no specific precautions or care. However, here are some tips to help your child keep the crown in a healthy condition. Even adults take a while to adapt to a new development in your mouth. Don’t expect your child to be used to it instantly. Even though getting a crown is a non-invasive procedure, give your child time to get used to it. In the first few days, your little one may feel slightly unusual on the side of the crown. For a while, they have probably had the tooth out of occlusion due to decay or preparation. With the crown, they will feel like something is hindering the mouth from closing. If your child complains of such discomfort even after the first few days, visit your pedodontist to check for the level of the crown. It is possible that it could need some reduction, though the dentist will have corrected this during cementation. Avoid feeding your child sticky sweets and candies. These can dislodge the crown. If the crown comes out, do not try any home remedies or quick fixes to put it back. Let the dentist do it in his or her office. Teaching oral hygiene habits from the formative years itself is essential. Showing your child to practice good brushing habits, by setting an example is the best way to make sure that their teeth remain healthy. Schedule a dental visit for your child soon after the first tooth erupts. This way, they will be accustomed to dental check-ups from a young age. Supervise your child’s brushing till you think he or she is old enough to do it themselves. Brushing twice daily with a fluoridated toothpaste is good for the teeth. Restrict the allowance for sweets, candies and ice cream. Teach them that these foods cause decay and are not good when eaten in excess. Encourage them to eat a sweet at the end of a meal, instead of in between meals. Fluoride treatment for primary teeth is a preventive measure to avoid cavities. Ask your dentist when you should get this done for your child, to protect his or her teeth. Stainless steel crowns are easy, inexpensive tools to protect your child’s damaged tooth. But it is even better if they don’t need any crowns at all. This is achievable if you motivate your little one to make good oral hygiene a priority from the beginning.